In Santa Cruz, May Day 2005 will include an International Workers Day Parade organized with the support of the Reel Work May Day Labor Film Festival, Art & Revolution and the newly formed Santa Cruz General Membership Branch of the Industrial Workers of the World. 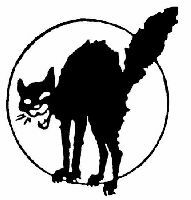 The IWW will gather at the Tom Scribner statue at 11:30am and then march to the Town Clock. At 12:00pm, labor organizer Fred Hirsh will speak at the Town Clock rally about struggles faced by local workers. People will then march to the Poet & Patriot (320 Cedar St) for a 1:00pm screening of "The Wobblies." Following the film, there will be a discussion about the future of the labor movement. At 6:00pm at the Portuguese Hall (216 Evergreen St), the Monterey Bay Central Labor Council is sponsoring a film screening, International Workers Day Dinner and a discussion with California State Treasurer Phil Angelides and Deborah Burger, President of the California Nurses Association. "Wal-Mart's War On The Workers" is a short film made by the United Food and Commercial Workers (UFCW) and details the anti-union tactics of Wal-Mart, the world's largest retailer, which has proposed to open a store in Pajaro. For two and a half years, residents in Felton, CA have been battling with German energy giant, RWE, the world's third largest private water utility, over that companies buyout, of the local system. On Wedneday, April 27, Santa Cruz County Supervisors unanimously agreed to hold a special election, and let Felton voters decide on an 11 million dollar bond to purchase the system from Cal Am/RWE. A special mail-in ballot deadline has been set for July 26. The California Public Utilities Commission has scheduled a public hearing for May 13 at the Felton Community Hall to take testimony on Cal-Am/RWE's proposal to consolidate the Felton and Monterey water districts. Fight CAFTA through active democratic participation this Friday, April 15th, at 12:00pm in front of the Baytree Bookstore at UCSC. CAFTA, the Cenral American Free Trade Agreement, is like NAFTA but worse. It extends abuses of human rights and the environment, corporate profiteering, and poverty to the Central American nations of Costa Rica, Guatemala, Honduras, El Salvador, Nicaragua, and the Dominican Republic. CAFTA is slated to be voted on in May, but its supporters are still scrambling for votes and corporate lobbiests are swarming DC. They need 20-25 votes and are looking to Democrats in California for support on this issue. We aren't against trade, but we are against unfair trade that legislates benefits for only a few rich corporations to profit off poverty. A commenter reports: The anti-CAFTA rally went well. About 50-100 protesters showed up. Mike Rotkin and Paul Ortiz spoke out about how we in the US need to take responsibility for the behaviour of our government and organize to oppose CAFTA. Mike Rotkin complained about how he can't even make copies of excerpts from his own book to use in class since the company that published it owns the rights. Paul Ortiz noted that the concept of Free Trade is a very sick and twisted concept, as first introduced by the British when they were exploiting the people of India. Target WTO: Derail, Dismantle, Destroy! >>> Latest news: (and more from outside and inside the WTO negotiations). (i) Some protesters have been released, but Korean activists are still being held. The first bus of 150 Korean women who are reportedly "released" has finally left the courthouse. Police say they’re taking them back to the camp they’ve been staying at. However, people are worried that the women might actually being taken to the airport to be deported. People are worried about what condition they are in. (i)The police have started arresting the 1000 protestors held in the area of Wanchai. The arrests will continue throughout the morning. (ii) All of our sources say that almost all of the people who were arrested early this morning are still waiting to be arraigned. According to a lawyer, as of now the charges they are facing are still unclear and may involve jail time and/or deportation for foreigners. Many of the detainees are Korean and some are Southeast Asian, and police are not providing them with information in the languagues they speak. In addition, police are not allowing interpreters to see the prisoners. (iii) A rally is being held at the protest zone. All the Hong Kong activists have now been released with $1,000 HKD bails. A march will leave from there heading for Kwuntong - where the incarcerated activists are being held. Activists will be running a relay hunder strike and camping outside of the detention facility, to demonstrate their solidarity with the Korean farmers and others who were arrested last night. (iv) A crowd of 7,000 people took part in the march, heading for Kwuntong. There was a strong contingent of migrant workers, and lots of locals. At the conclusion of the march 200 Koreans and some of their local supporters sat down right outside a fence on the periphery of the legitimized protest zone. Later on a crowd of 400 people gathered. (v) Fifteen people - mostly Hong Kong activists - are gathered outside the Kwuntong jail in solidarity with those locked up, drumming with the hope that the activists who are inside will be able to hear them. (vi) Outside the Kwuntung jail nearly 20 people are still banging on the police barricades and otherwise being rowdy and cheerful as they continue to demonstrate their support for the WTO protesters who are in detention. Some police are setting up in the area with riot shields, and the police presence continues to grow. (vii) 40-50 people are gathering outside the Kwungtung courthouse. One woman announced that contrary to maintream news reports, no one really knows what is going on with the legal statuses of the prisoners. Some activists fear that police hold special antipathy for the male Korean protesters and will retaliate on them. For the latest and more detailed news click here. Video: Protests on the 15th: 1 | 2 | 3 | Protesters enter conference centre [download]. Dispatch 6: Hear the Silent Majority Speak! Dispatch 11: Respect the Rights and Dignity of Our People! Dispatch 13: WTO Out of Agriculture ! Dispatch 14: WTO MC6, Hong Kong, Day 4: “We’re Hungry. We’re Angry.�? Dispatch 15: Agricultural Workers of the World Unite! Dispatch 17: Rice Farmers Want WTO Out Of Agriculture! A Review Of P'eng Shu'tse and Ch’en Pi-lan’s book: "The Chinese Communist Party In Power�? P'eng Shu'tse and Ch’en Pi-lan were leading Chinese Trotskyists the spent their entire lives fighting both against the crimes of imperialism, the crimes of the Koumintang, and against the crimes of Mao. This book is important legacy in the struggle of legitimate revolutionary socialists in the struggle against the betrayals of Stalinism.